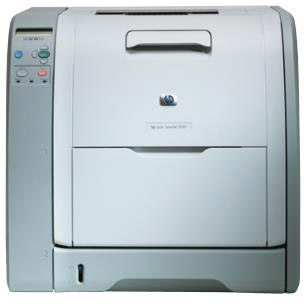 The HP Color LaserJet 3500n printer is a superb workgroup laser printer that will serve your midsize office well. It features a 350-sheet paper capacity with options to expand up to 850 sheets, making it a convenient piece of equipment for your business. You’ll also get print speeds of 12 pages per minute (ppm) and a 600 dots-per-inch (dpi) resolution. If you’re using original equipment manufacturer (OEM) toner, you can expect print yields of up to 6,000 pages from the black HP 308A toner cartridge and up to 4,000 pages from each color HP 309A toner cartridge. You no doubt recognize that OEM products produce exceptional quality print work, but you’ve also probably realized that they can be very costly. Thanks to 1ink.com, you don’t have to drain your budget on OEM products to get professional-quality work. Our remanufactured toner cartridges perform just as well as OEM HP toner, giving you the same page yield and shelf life as well as the same incredible mono/color print capabilities. Save over 40% off the OEM price with 1ink.com and take your work to the next level.